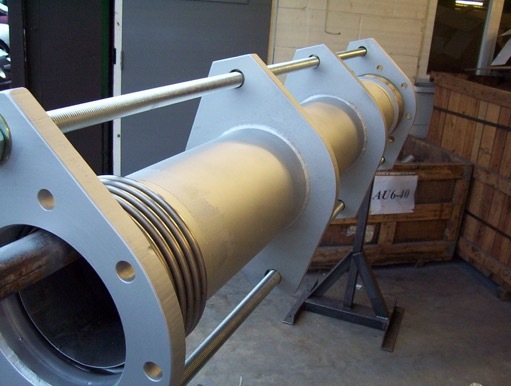 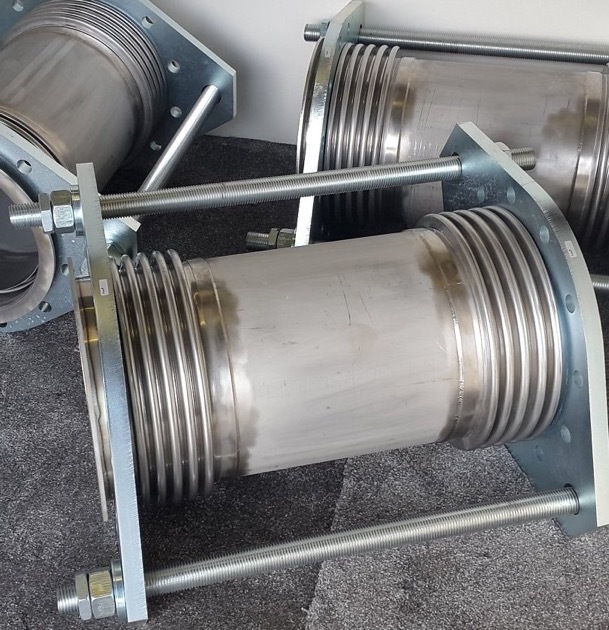 Vast Stocks of Standard Bellows & Expansion Joints for FAST Next Day Delivery. 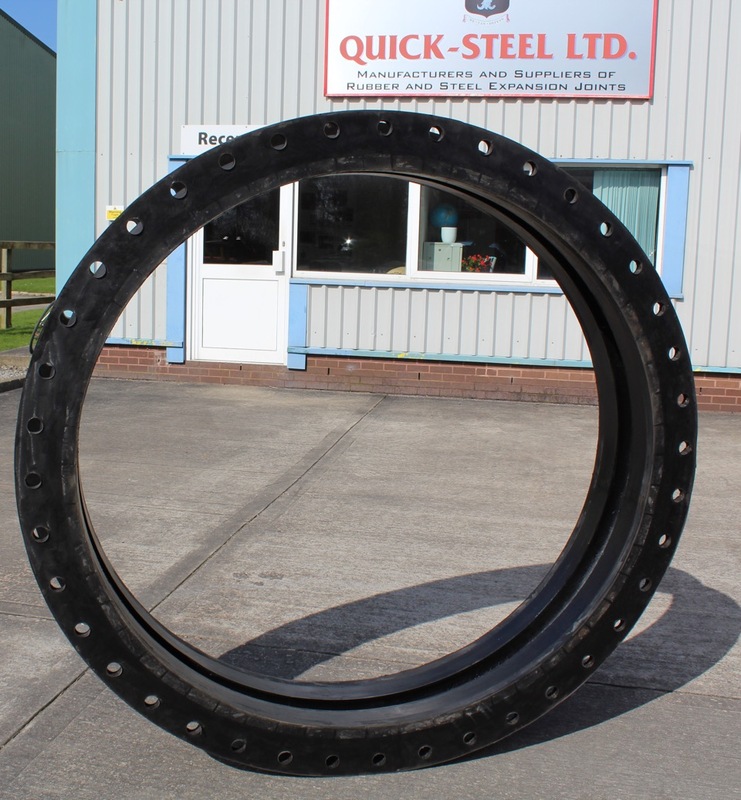 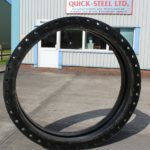 Quick Steel offers a next day delivery service for urgent and emergency requirements. 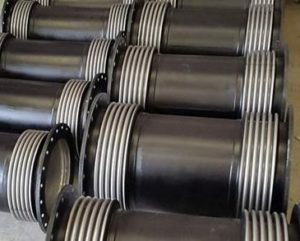 We hold a vast range of stock of standard rubber bellows and expansion joint ranges for FAST next day delivery. 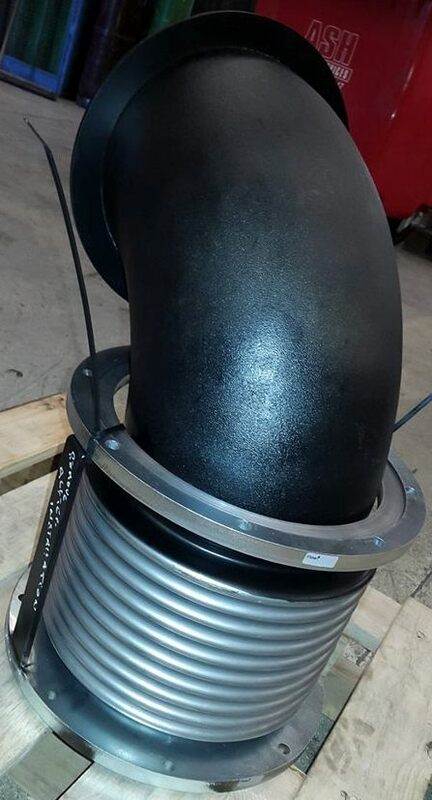 Standard moulded rubber bellows are designed to accommodate a wide range of movements and applications. 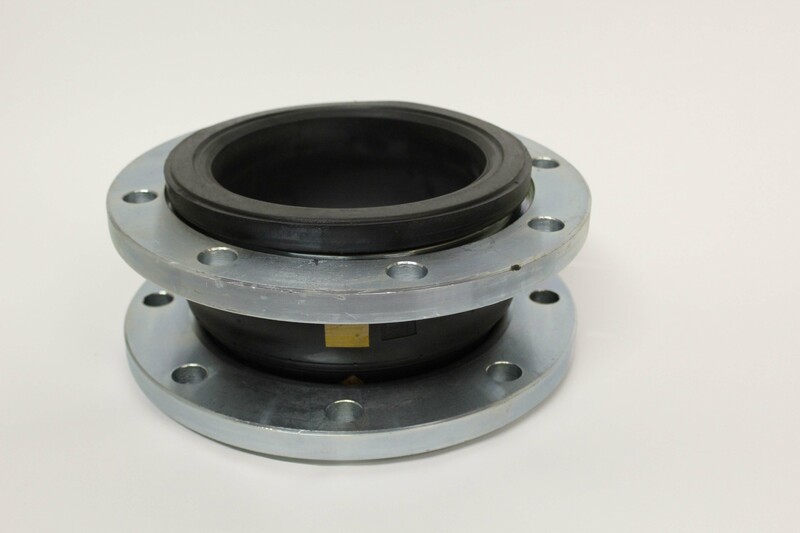 Moulded rubber bellows are usually supplied with zinc plated carbon steel swivel flanges. 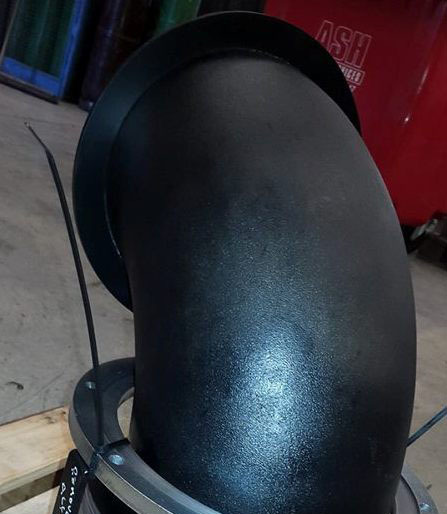 Moulded rubber bellows effectively dampen the transmission of sound and vibration from plant items in building service installations, and can be used for many applications including water, oils, chemicals, gases and in the food industry depending upon the grade of the rubber. 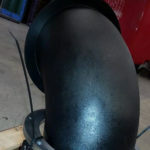 Handbuilt rubber bellows are designed to neutralise movement, compensate for misalignment and reduce noise and vibration in pipelines. 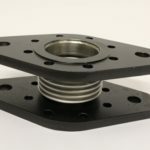 They can be tailored to fit any application as they are designed and manufactured specifically to suit specific requirements. 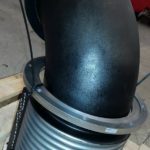 Handbuilt rubber bellows are purpose built using a multi-ply construction of elastomers and reinforcing. 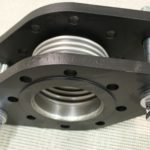 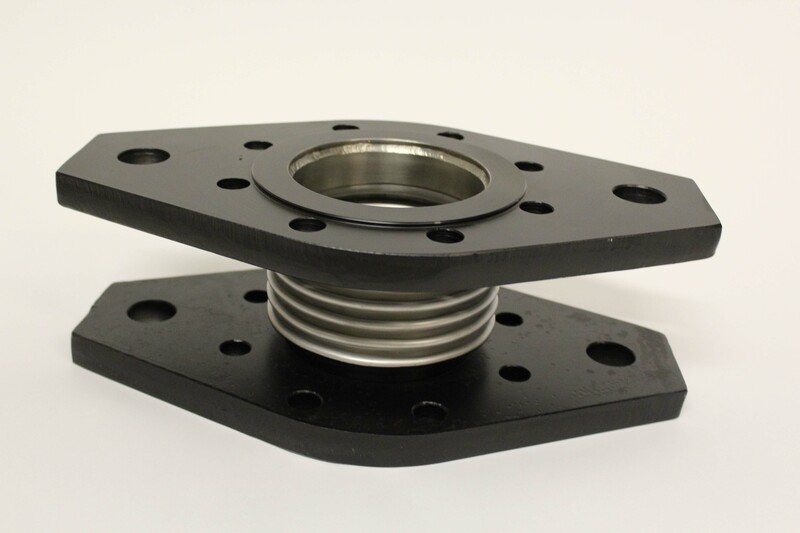 They are generally supplied with self-sealing, full-face solid rubber flanges and split zinc plated backing flanges to your specific drilling requirement. 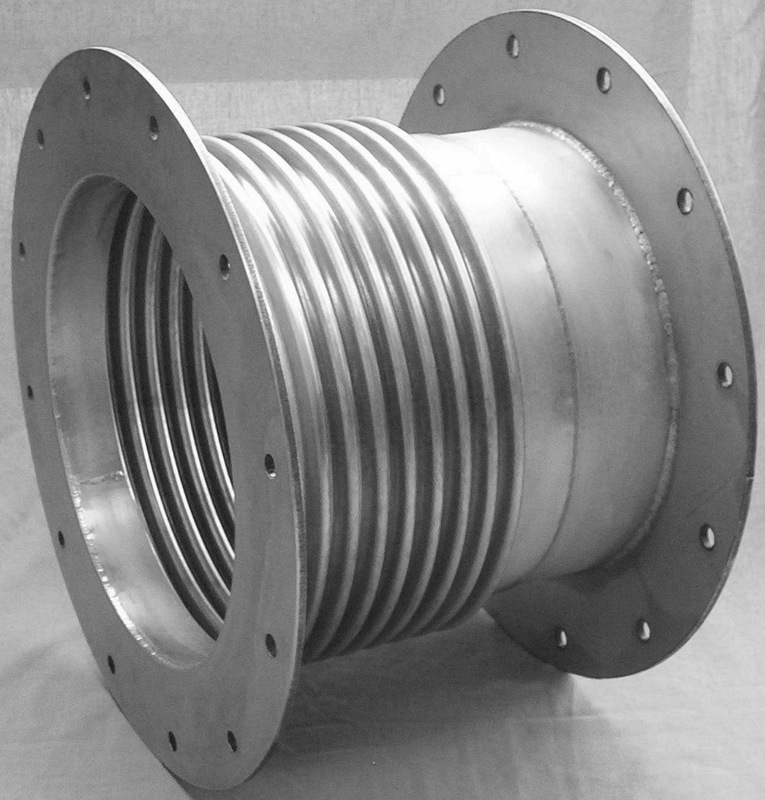 Axial expansion joints are designed to absorb thermal expansion in an axial plane. 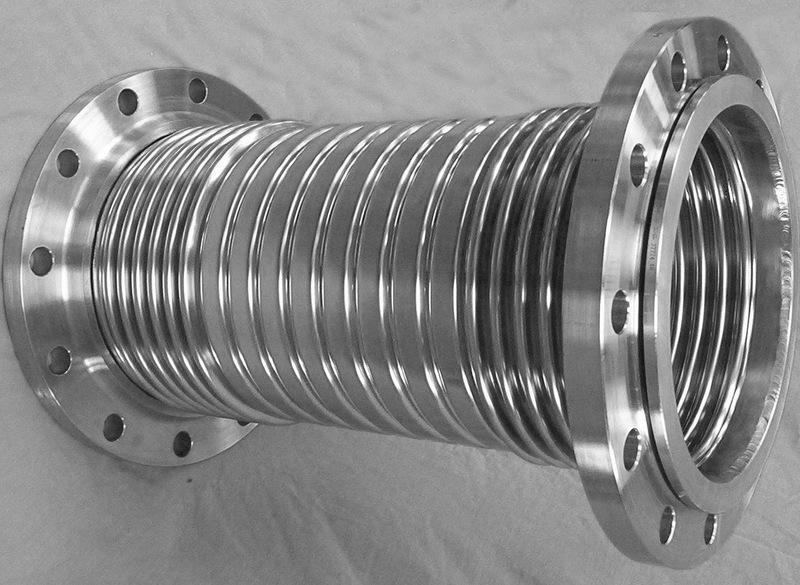 This means the bellows can shorten or lengthen along the longitudinal axis. 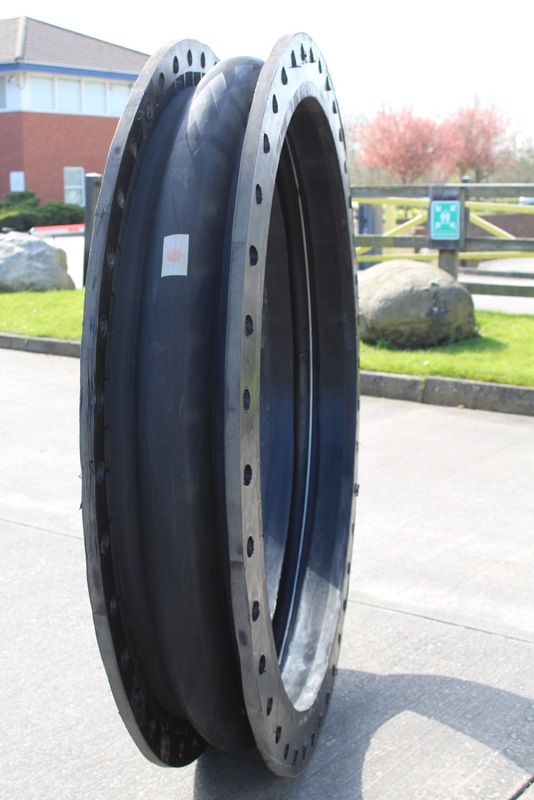 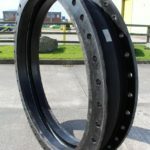 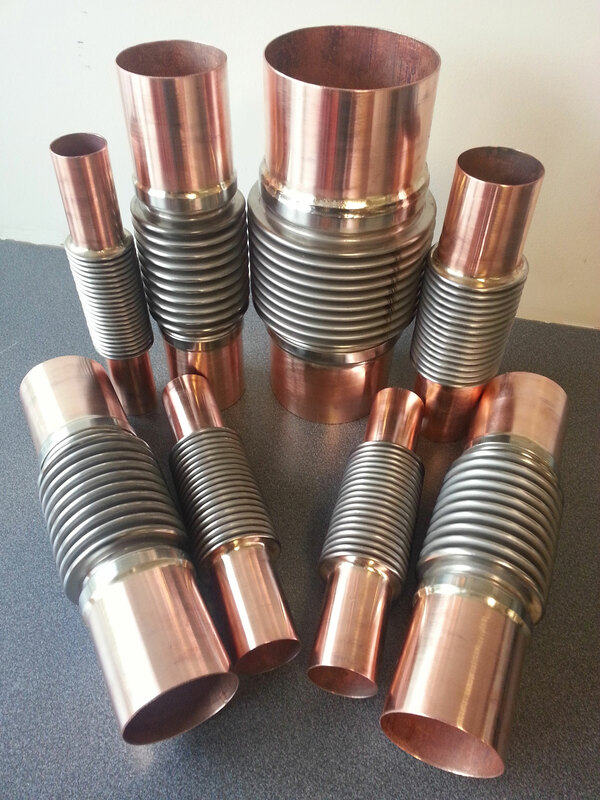 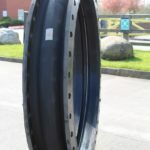 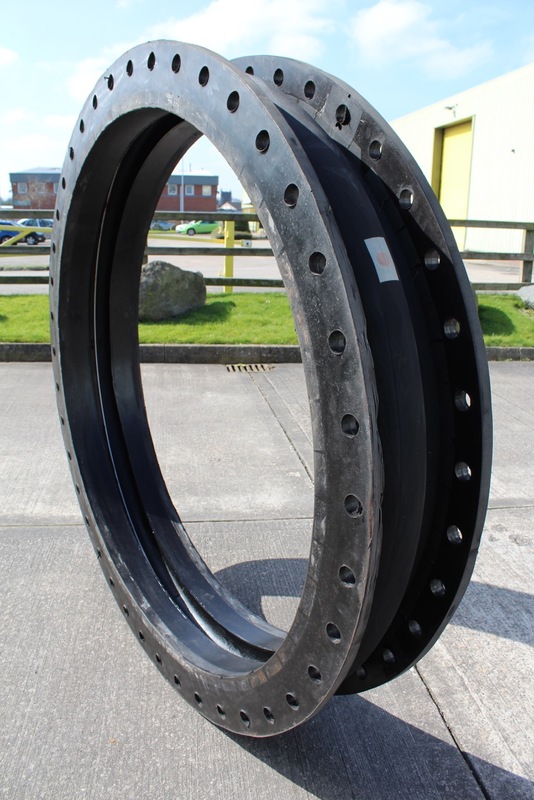 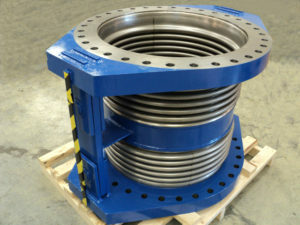 They can be fitted with flanges or weld ends to enable them to be installed into the pipework. 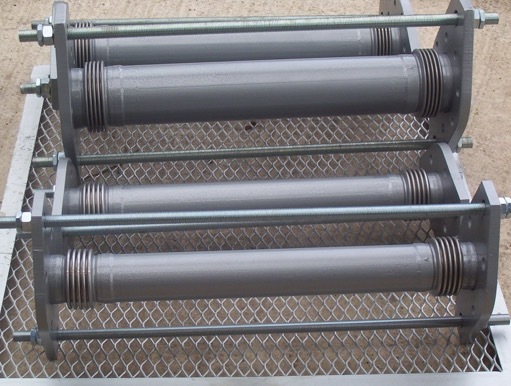 They are suitable for transporting any liquids and gases in straight pipelines. 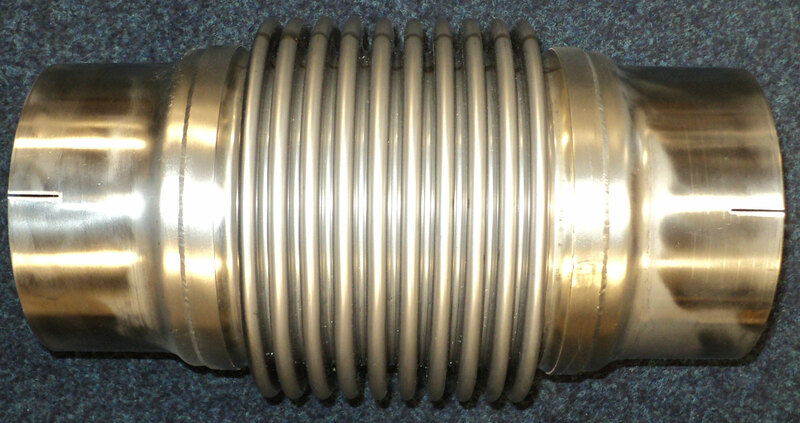 Axial expansion joints are often used in heating systems. 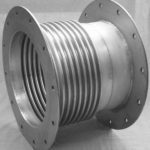 The DAB range of axial expansion joints are designed to absorb the thermal expansion in straight pipe lines and are suitable for many liquids and gases. 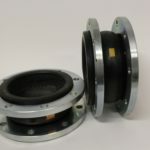 They are constructed with two membranes which allows for more movement than a single axial bellows and are suitable for low pressure systems. 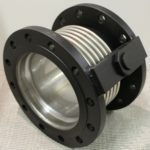 The range of single hinged angular expansion joints are designed to absorb the thermal expansion that occurs where there are changes in pipe work direction. 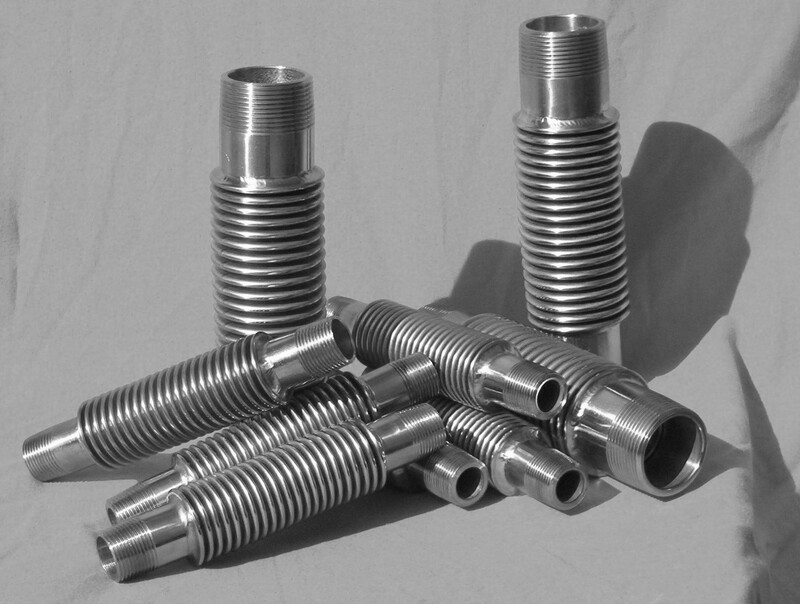 They are suitable for many liquids and gases. 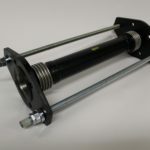 They are designed to move in only one angular plane and when used in a two or three pin hinge system can easily cater for large amounts of movement by simply increasing the distance between the pins. 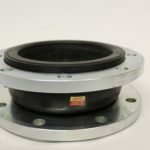 Exhaust bellows are designed to absorb thermal expansion and vibration in exhaust systems of engines, generators and other low pressure, high temperature applications. 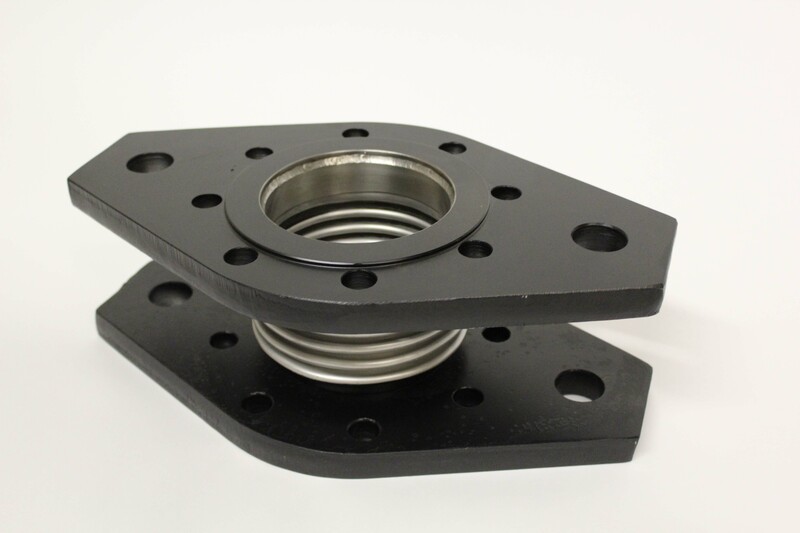 They are supplied as standard with carbon steel or stainless steel flanges. 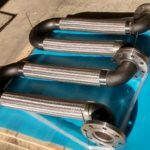 They can be custom made from other materials and custom designed to meet specific dimensions for each individual application. 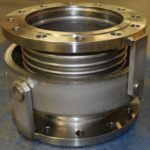 Pump bellows are used where a pump is installed. 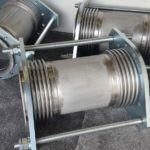 The multiply bellows are particularly effective for absorbing vibration and noise, and the combination of lateral and axial movements, usually resulting from pumped systems on suction and discharge. 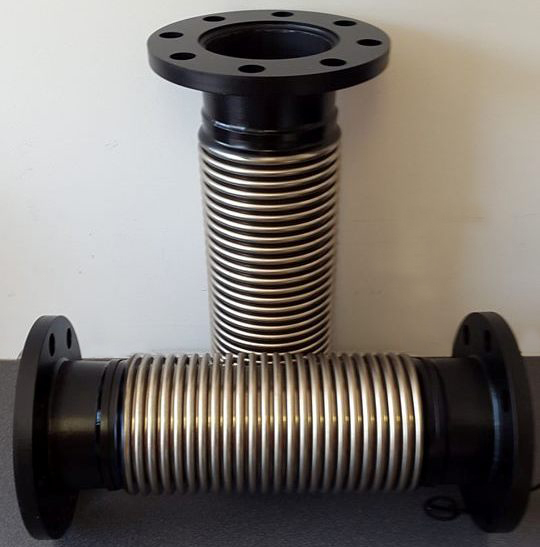 Tied and untied pump bellows are designed to be used where the temperature or the flow media is not suitable for rubber bellows. 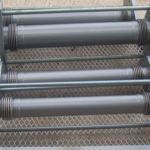 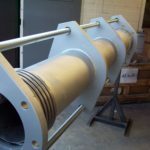 The double hinged, articulated expansion joints are installed where there are changes in pipework direction and are generally used in a two or three pin system in conjunction with single hinged. 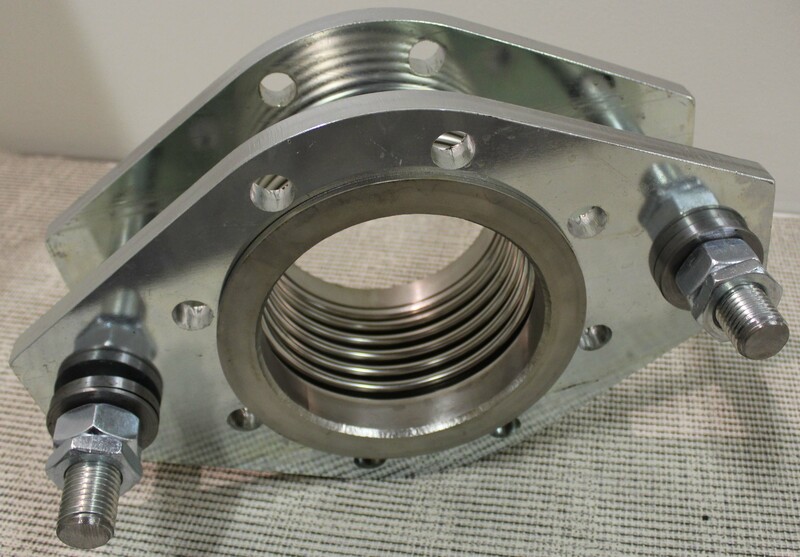 They are designed to accommodate large amounts of lateral movement in only one plane. 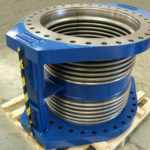 The double hinged, expansion joints are constructed with a ridged hinged mechanism which allows them to accept the full pressure thrust which results in the lowest possible stress on anchors and adjacent machinery, while being prevented from deflecting axially either in extension or compression. 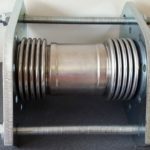 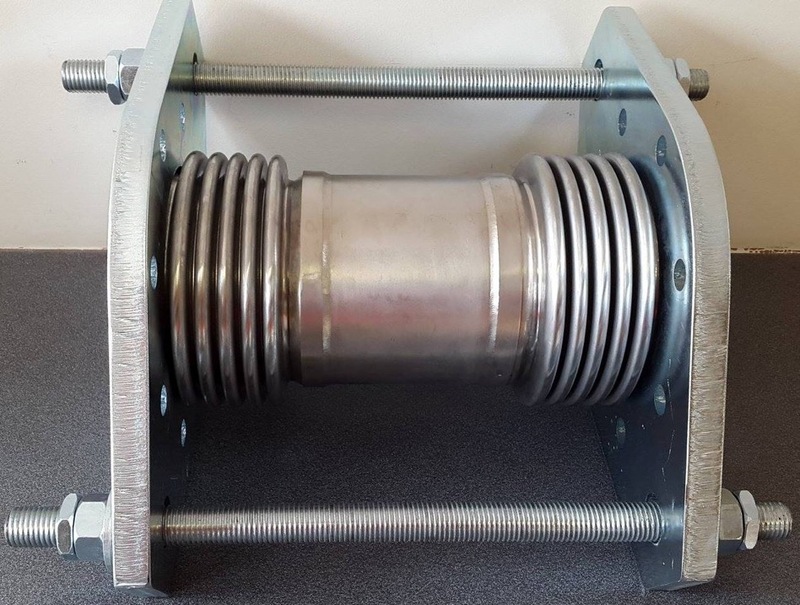 Double tied universal lateral expansion joints are able to absorb large amounts of lateral movement in more than one plain whilst containing pressure thrust forces. They are constructed using two membranes either side of a central tube with oval flanges and tie bar assembly. 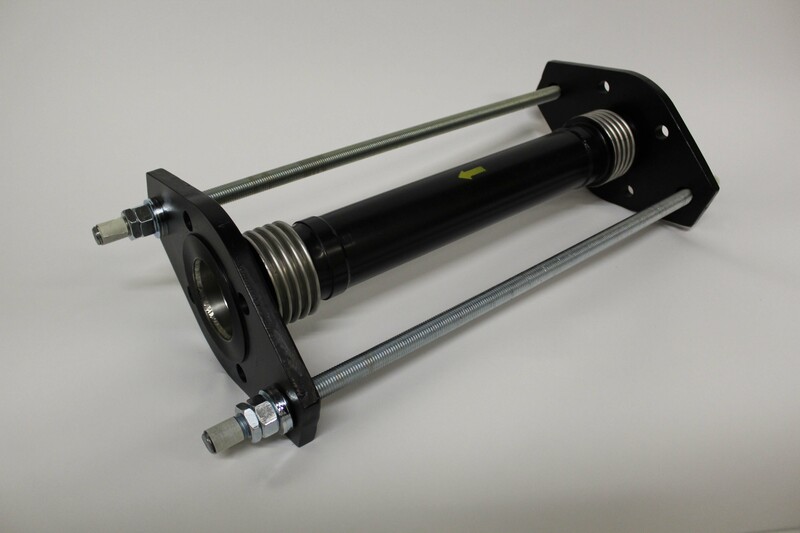 This can easily cater for larger amounts of lateral movement by simply increasing the length of the centre tube. 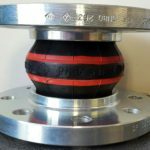 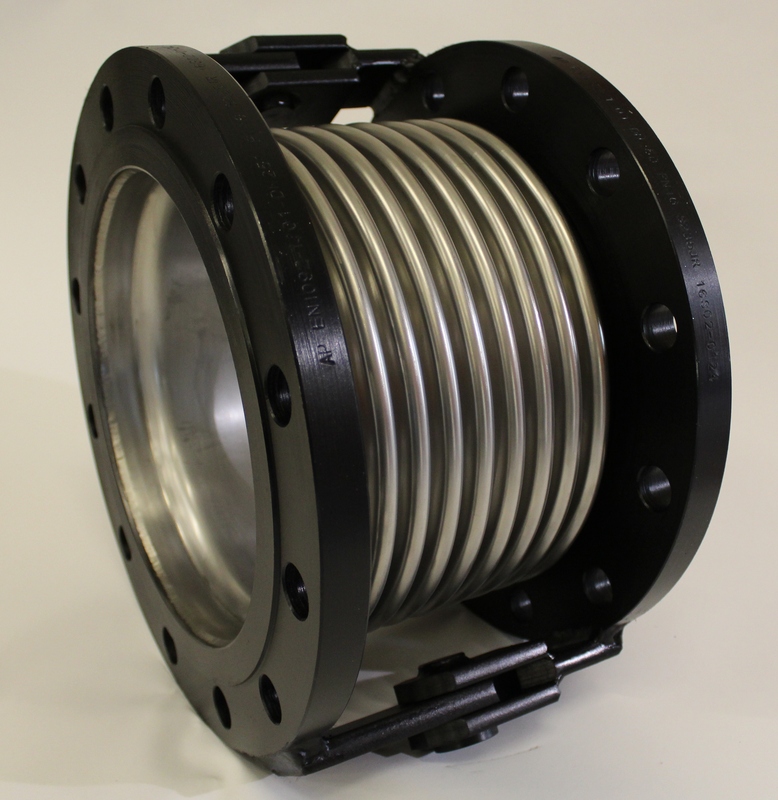 The Double Tied Lateral Expansion Joints are generally used where there are changes in pipework direction and expansion in more than one plane, also absorbing both building settlement and bulge that can occur in piping from large vessels or tanks. 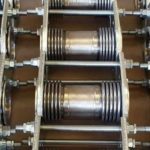 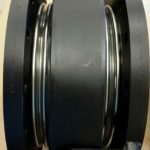 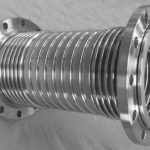 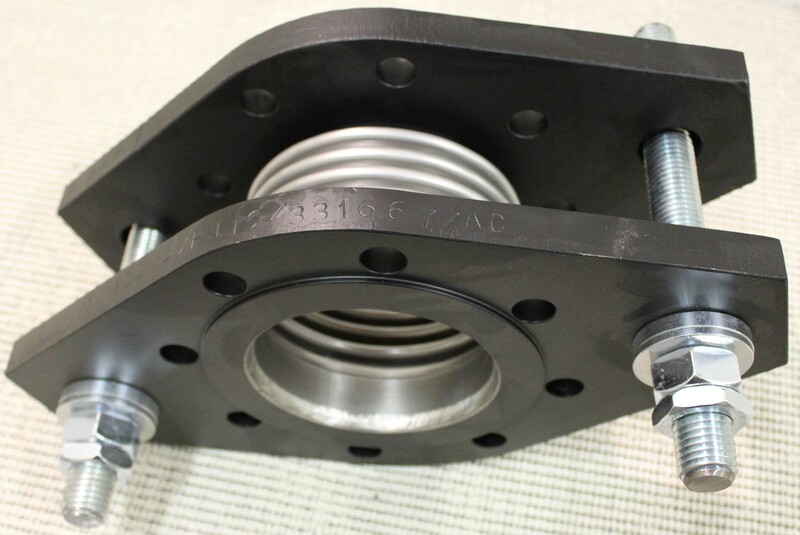 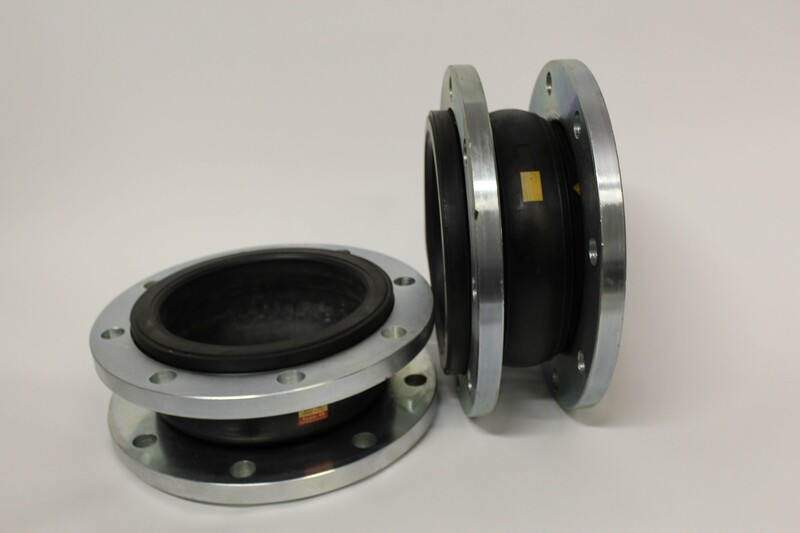 The double unrestrained expansion joints are designed for use on exhaust systems and building movement or settlement applications where large amounts of combined axial and lateral movements are required. 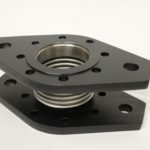 Single gimbal expansion joins are designed to absorb large amounts of lateral and angular movements in more than one plane while containing the pressure thrust forces. 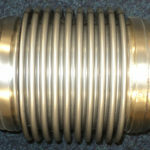 This is achieved by using in sets of two or three at a time. 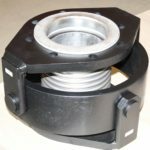 The hinges and pins prevent the bellows exerting thrust when subject to pressure. 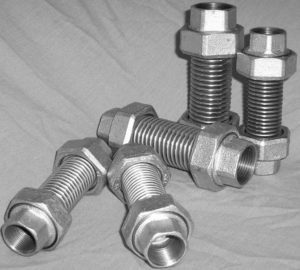 This results in the lowest possible stress on anchors and adjacent machinery. 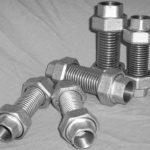 Screwed axial expansion joins are designed to absorb thermal expansion straight pipelines that occurs in hot water and heating circuits. 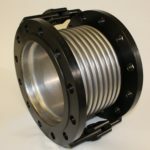 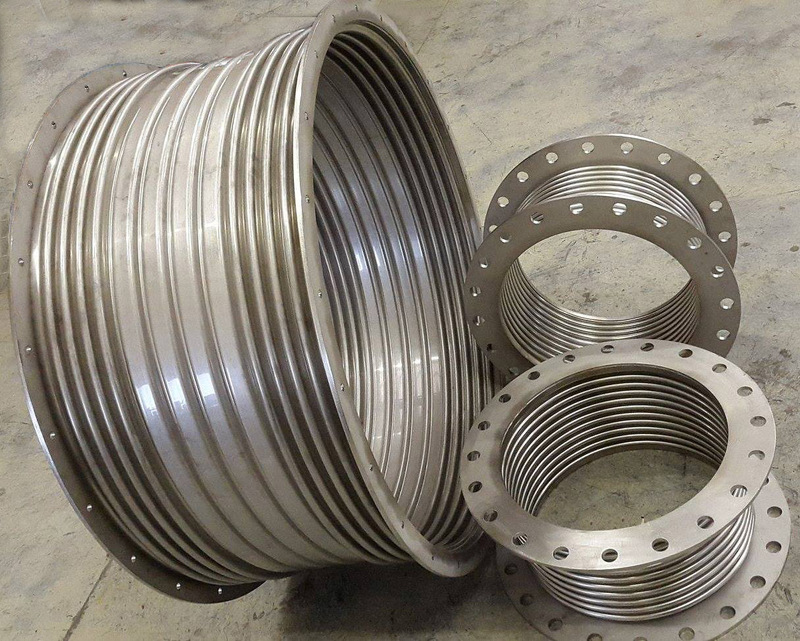 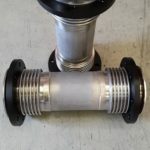 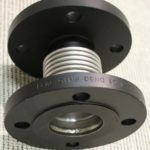 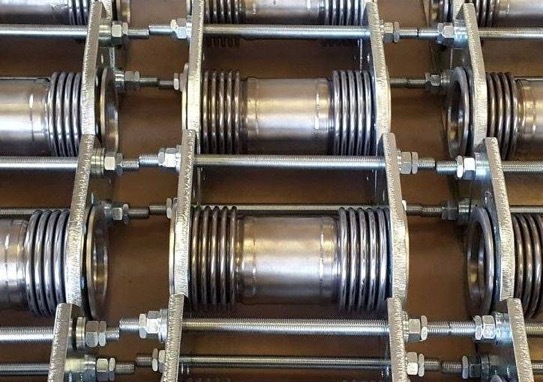 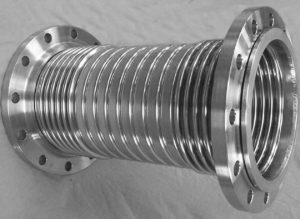 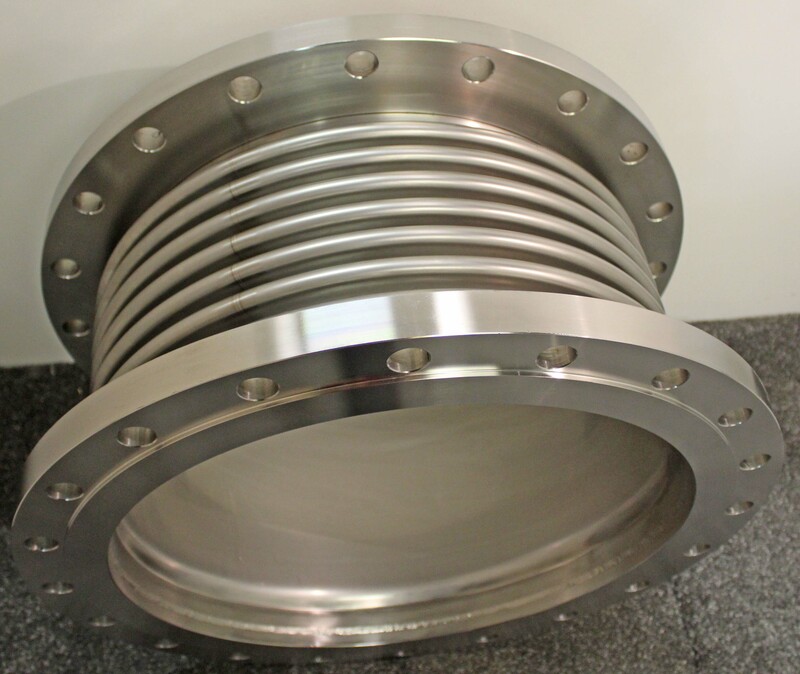 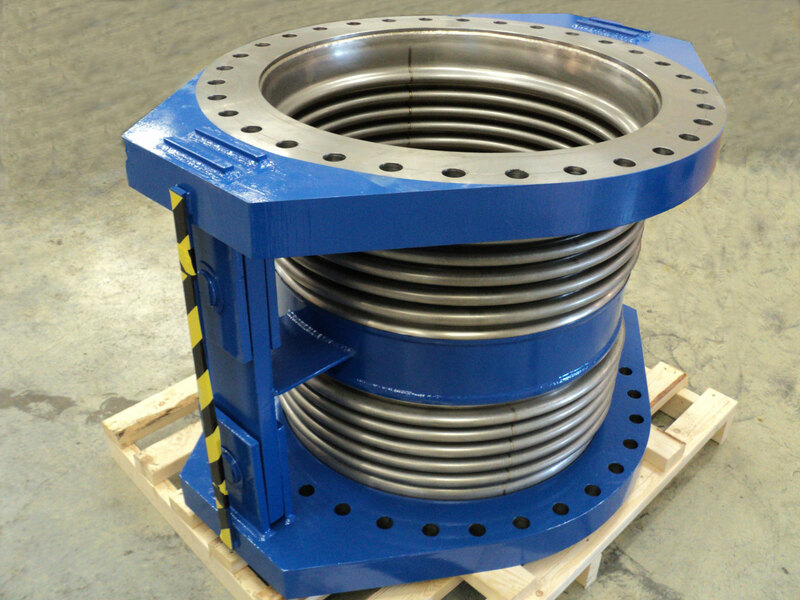 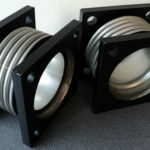 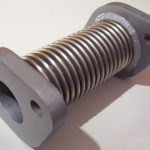 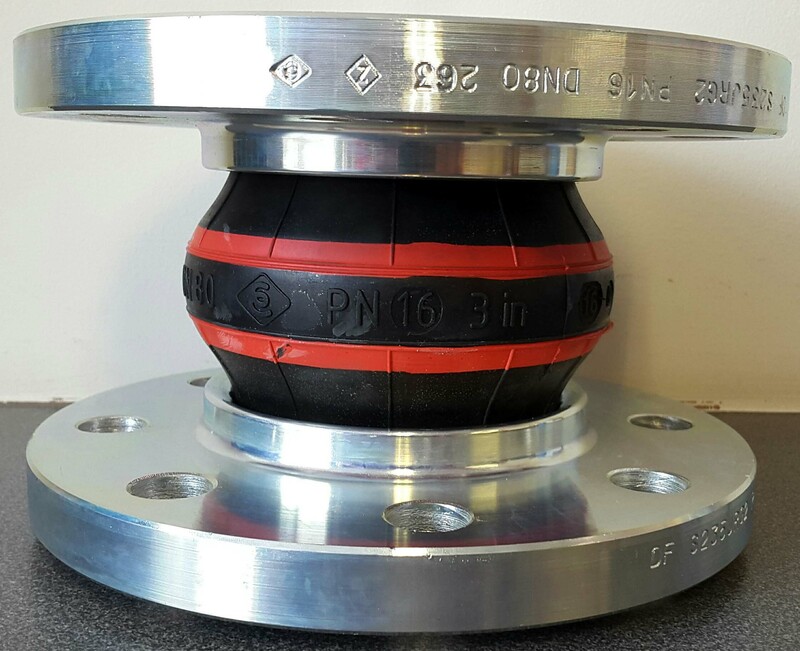 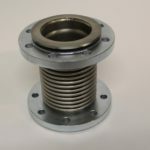 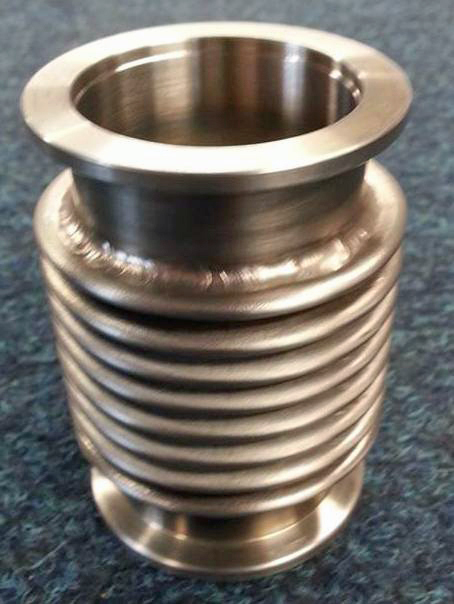 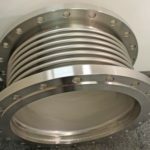 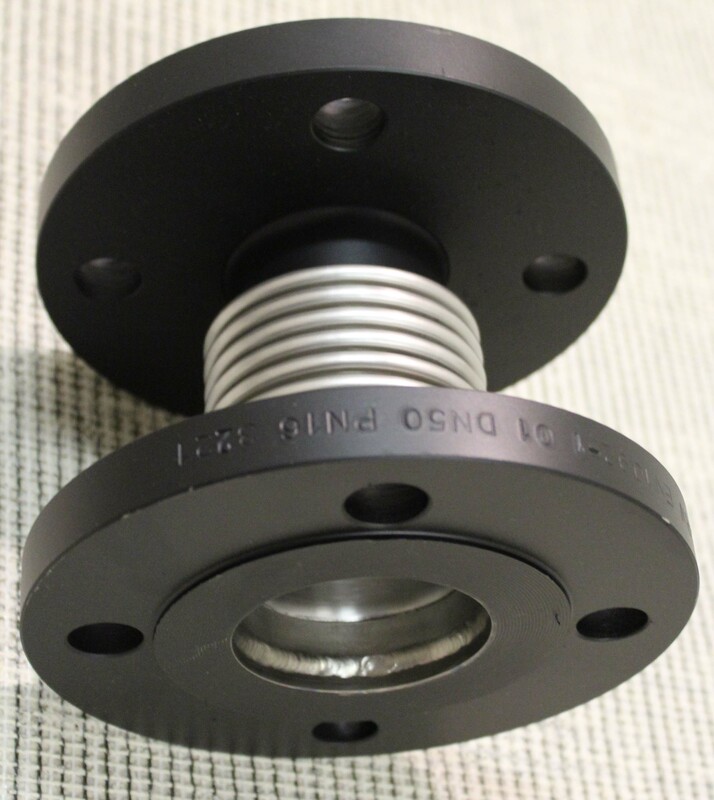 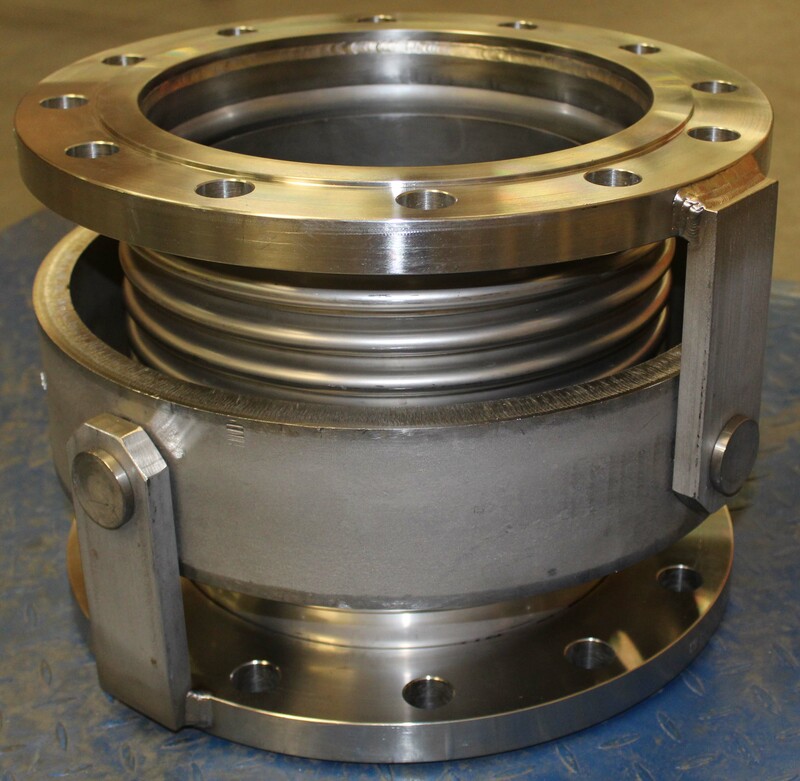 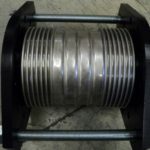 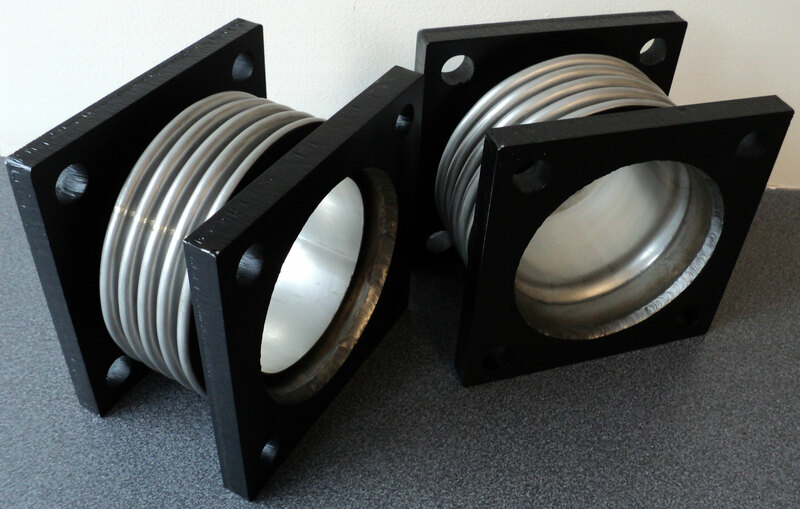 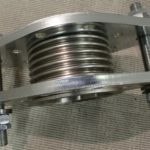 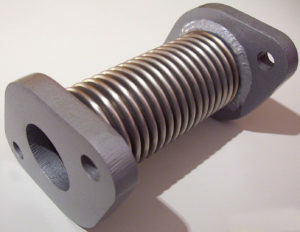 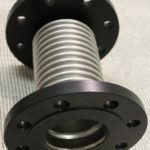 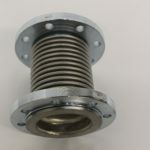 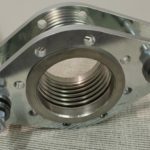 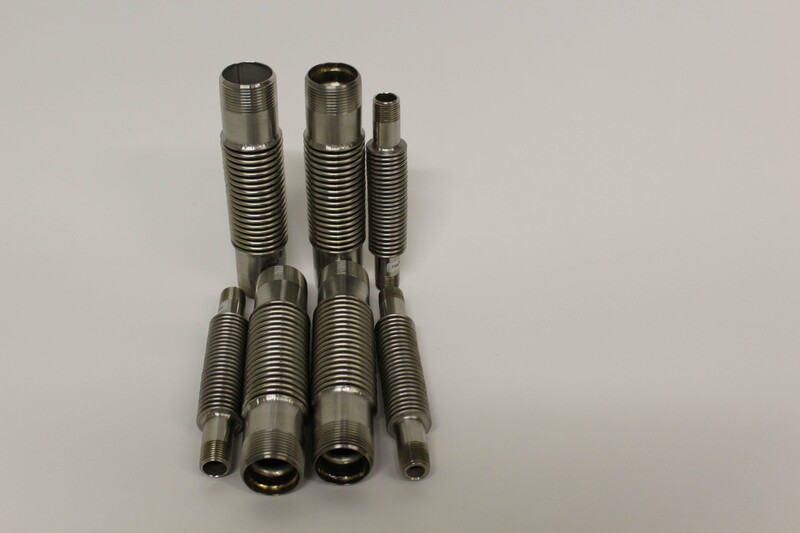 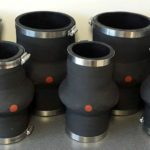 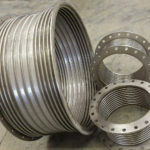 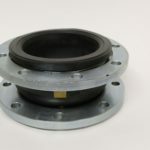 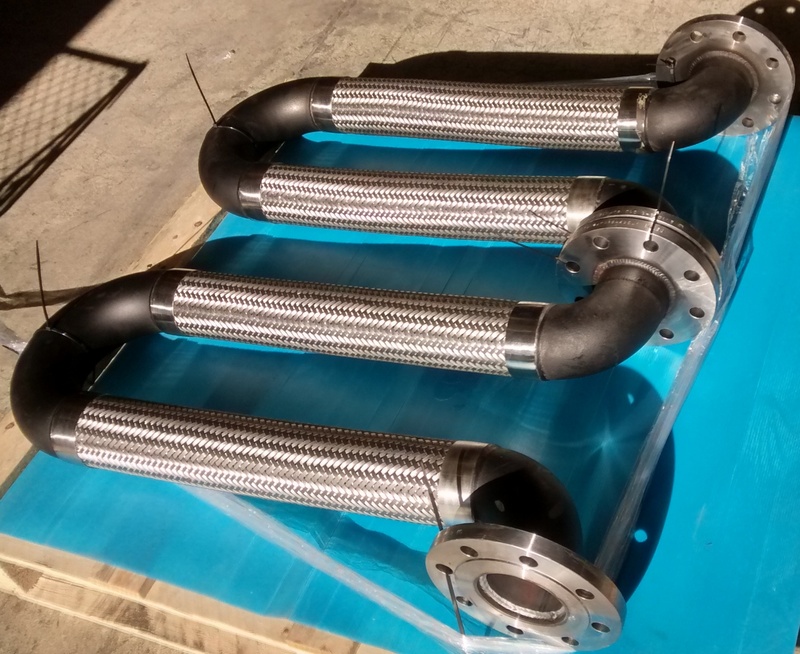 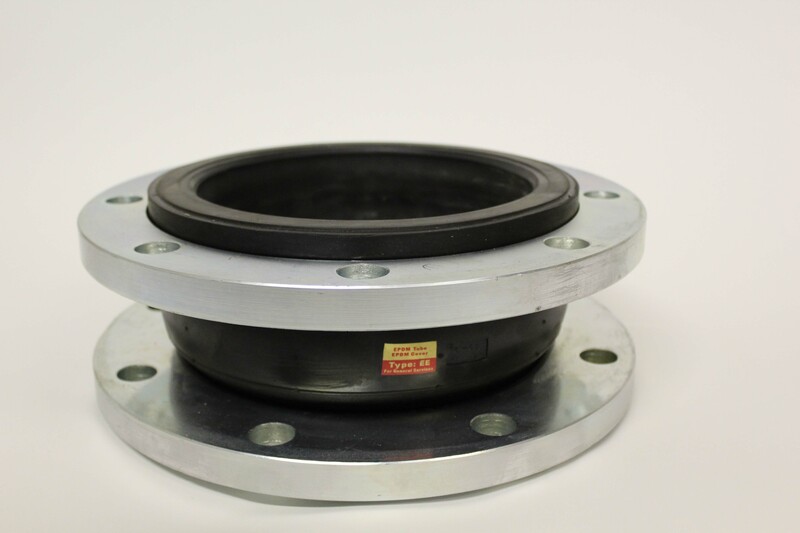 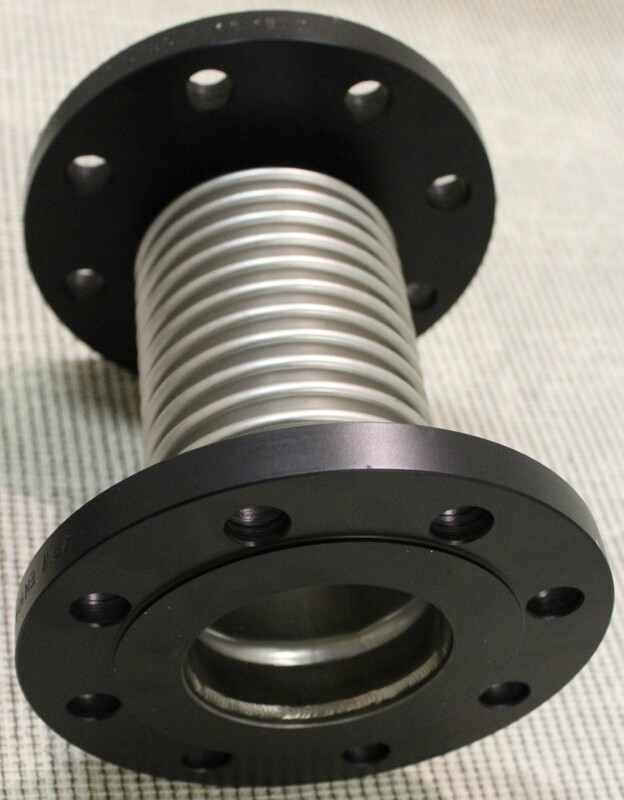 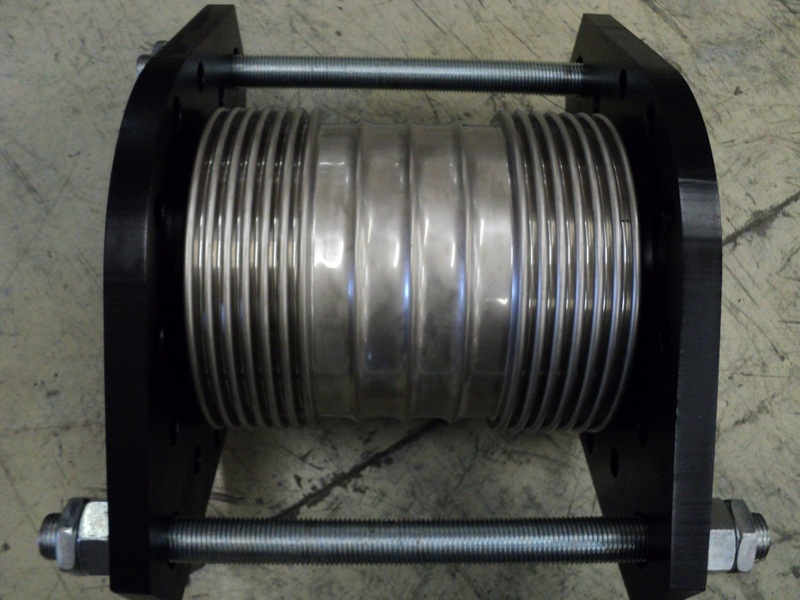 These small bore expansion joints are constructed using 316 stainless steel bellows core and stainless steel male end connectors and stainless steel internal flow sleeves. 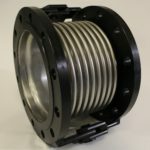 Copper ended expansion joints are designed for use on condensate and domestic hot water in copper pipelines to absorb thermal expansion in an axial plane. 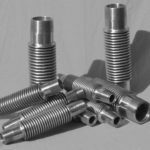 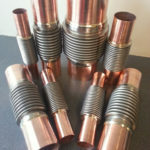 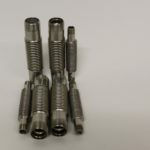 They are constructed from 316 stainless steel bellows core with standard plain copper tube ends, which can be easily fitted using compression or solder fittings. 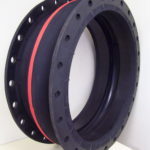 They are available with a bore size from 15mm to 50mm. 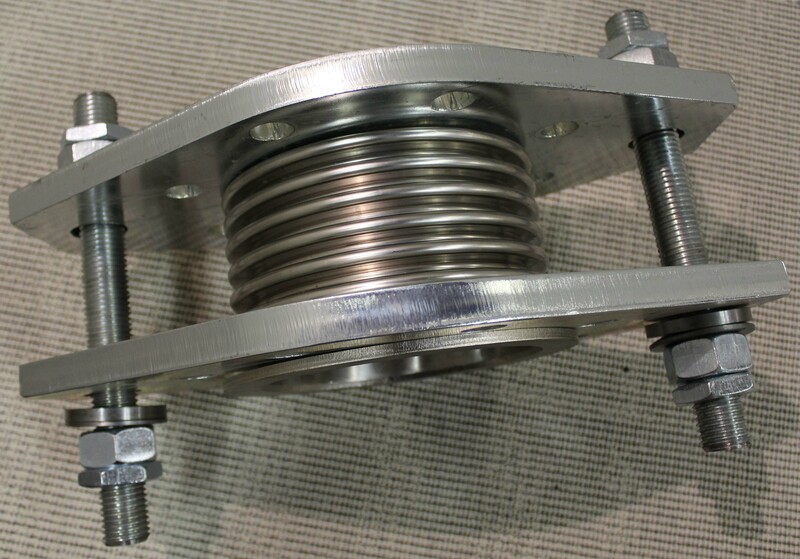 Union ended expansion joints are designed to absorb expansion and vibration in heating and air conditioning installations. 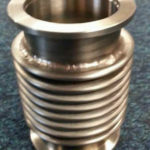 They can be supplied with malleable iron or stainless steel ends. 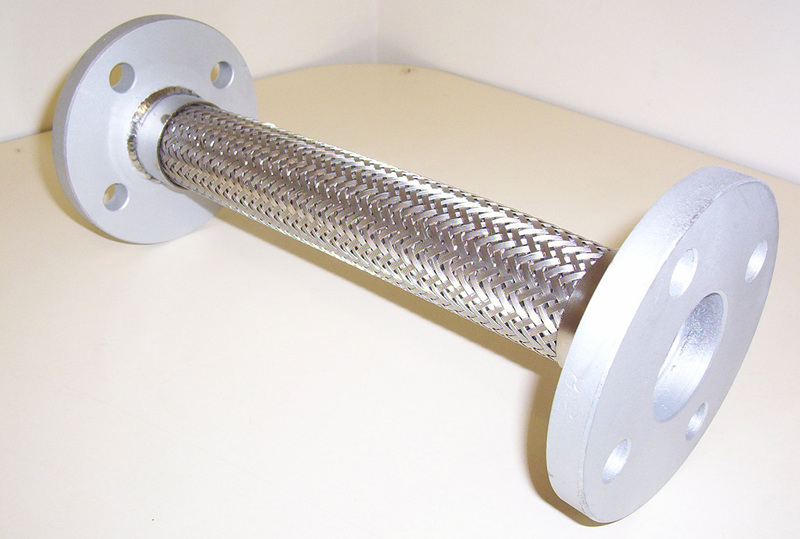 Perimeter heating bellows absorb noise and vibration that occurs in perimeter heating circuits. 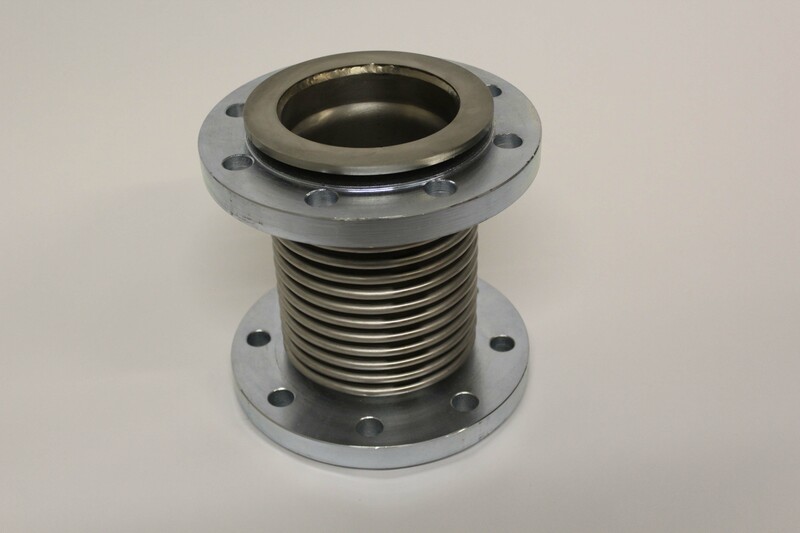 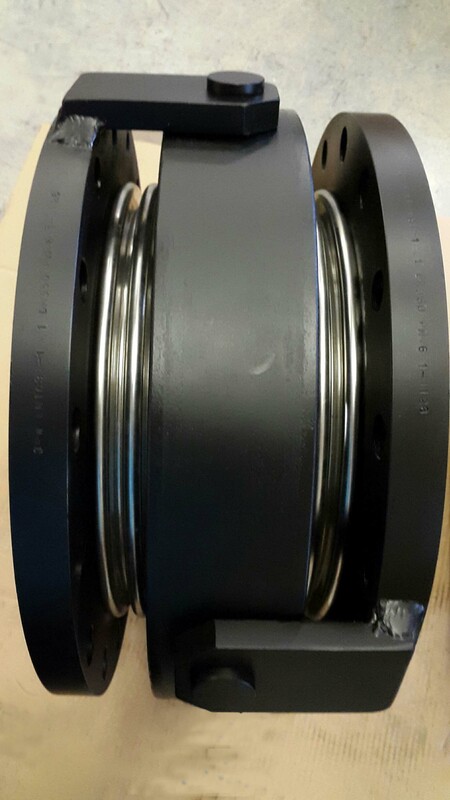 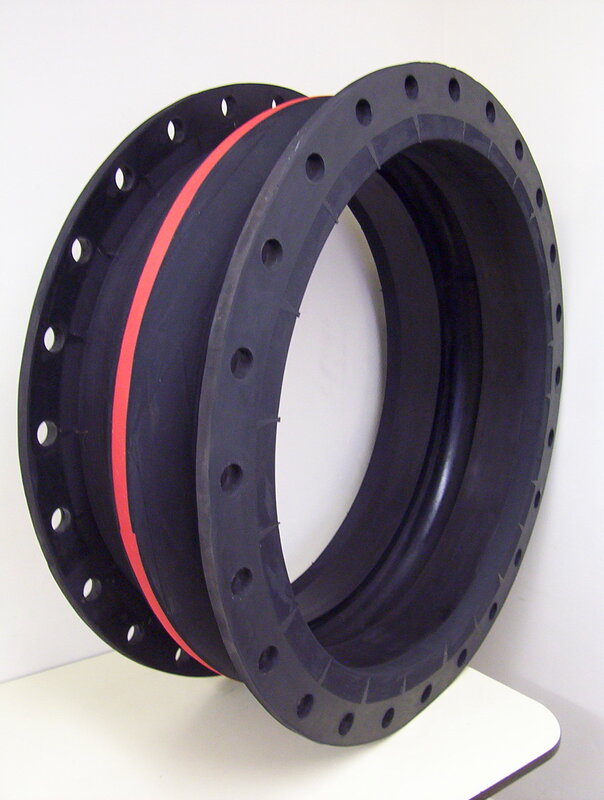 They are small bore expansion joints fitted with special carbon steel or stainless steel, two-hole flanges. 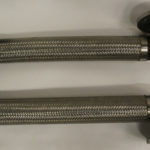 Stainless steel flexible hoses have a high physical strength, enabling them to operate at significant high pressures. 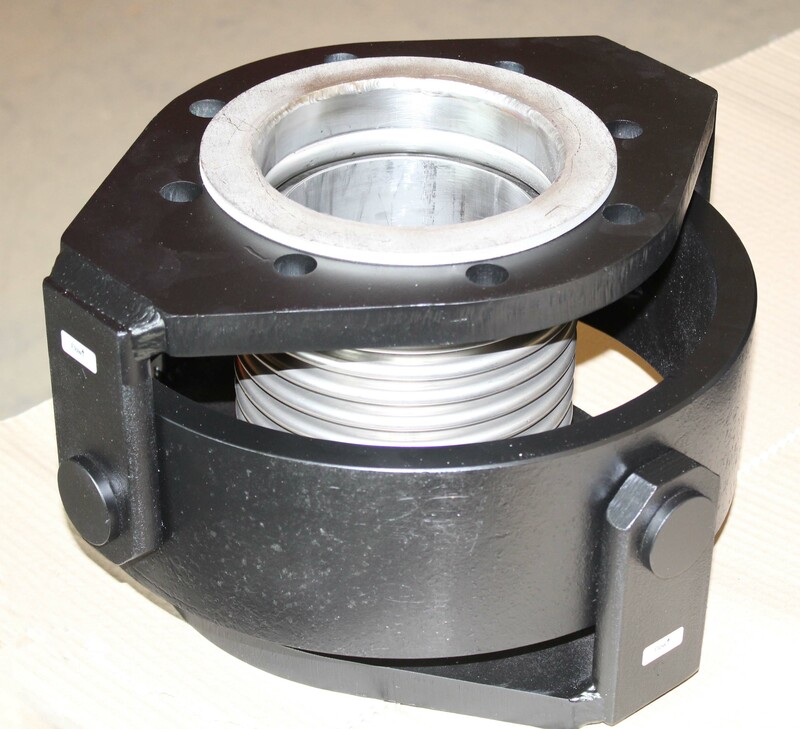 They are corrosion resistant, and suitable for elevated temperatures. 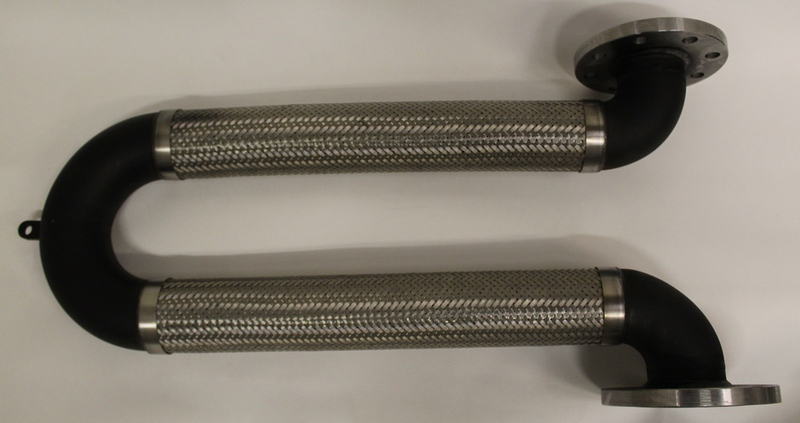 Metallic hose assemblies comprise of an inner corrugated core, formed from thin wall stainless steel tube. 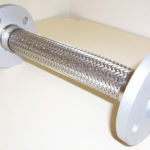 The core is covered by one or two layers of interwoven braid, which is welded at each end with the fittings. This enhances the pressure bearing capability of the hose, and resists the tendency to elongate under internal pressure. 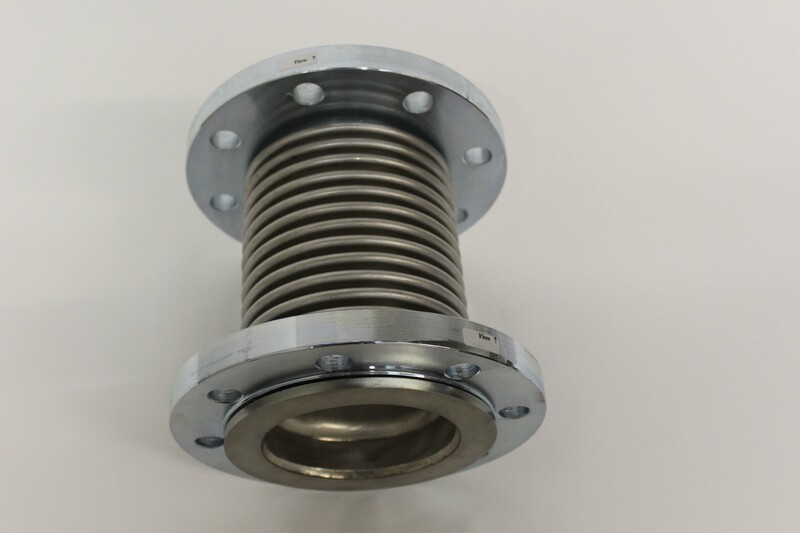 Alternative or special non-standard expansion joints can be designed and manufactured to meet the customer’s individual requirements.